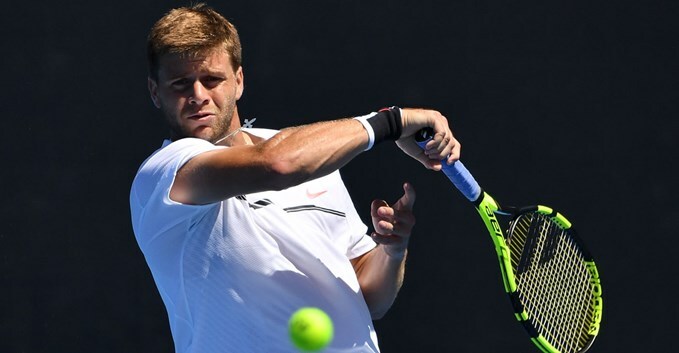 Ryan Harrison completed a perfect run through the Memphis Open on Sunday, defeating Georgia’s Nikoloz Basilashvili in the final, 6-1, 6-4, to secure his first career ATP crown. - Harrison became the first American to win the Memphis Open since Andy Roddick captured the title back in 2011. Harrison’s victory against Basilashvili put a bow on a superb tournament in which he did not drop a set in five matches, defeating No. 3 seed Sam Querrey and Donald Young along the way. - Harrison is off to a blazing start to 2017. With the victory in Memphis, Harrison has now won 10 matches and 20 sets in a row, having also lifted the trophy at the USTA Pro Circuit Challenger in Dallas two weeks ago. According to the ATP, Harrison is the first player to win Challenger and ATP World Tour titles in consecutive weeks since David Goffin in 2014. - Harrison has been a frequent Series competitor throughout the years. His best results have come in Atlanta, where he reached the semifinals in 2011 and 2013 – his best ATP result prior to Memphis. In 2016, he qualified for the Rogers Cup and defeated John Isner before falling in three sets to Tomas Berdych in the round of 16. - Harrison first broke through on the international stage at the 2010 US Open, upsetting No.15 seed Ivan Ljubicic in the first round. - Both Harrison and his younger brother Christian made headlines last August, becoming the first brothers in the Open era to reach the US Open main draw through qualifying. The 2016 tournament was also Ryan’s best Grand Slam performance. After defeating Adrian Mannarino in the first round, the American went on to beat No. 5 seed Milos Raonic to claim a spot in the third round for the first time. Harrison would eventually fall to Australian Open finalist Marcos Baghdatis.